Make a Photo Book with the Kodak D4600 Duplex Photo Printer in less than 6 minutes! This double sided (duplex) printer will print 4×8, 6×8, 8×8 and 8×12 photo book pages printed on both sides with full bleed (borderless print). 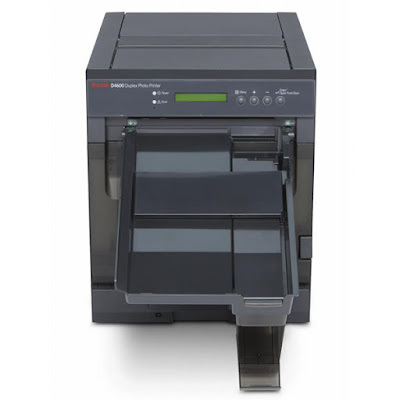 The D4600 unit uses a roll of media and ribbon much like the kiosk unit printer, once the pages are printed you simply place the sheets in to the selected book cover and stick them into place.